Join us for SkunkFest, our annual gathering for merryment and mirth. Skunk Fest is our annual fund raising day. This is a one-of-a-kind festival! 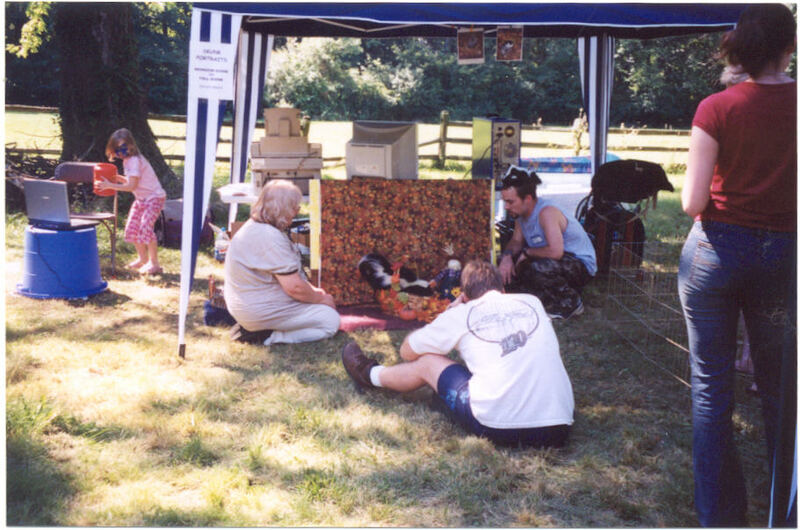 The First Skunk Fest was held in September 2001, it started as a fun picnic for skunk owners. 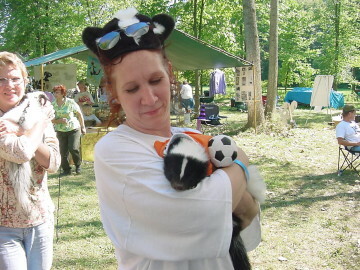 Since then Skunk Fest has grown into a yearly festival for all skunk lovers. 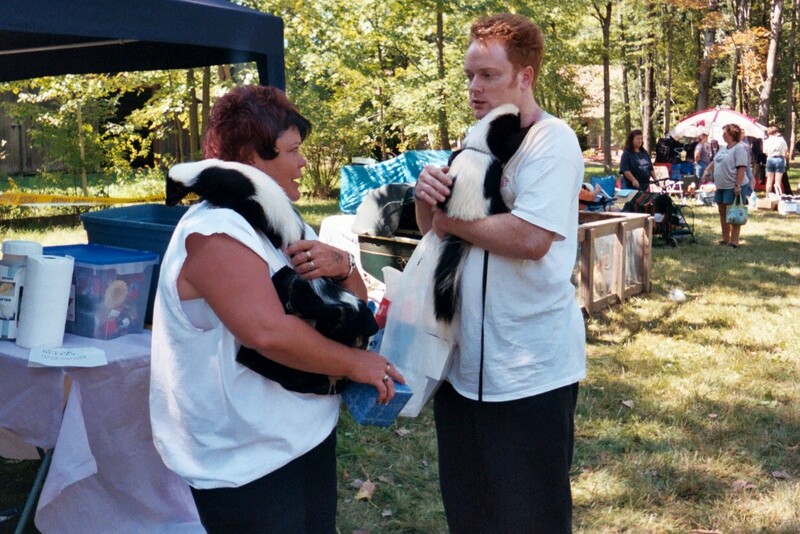 People that want to know about skunks and skunks with their owners gather from many states such as Ohio, Indiana, New Jersey, Michigan, Pennsylvania, Florida, Kentucky, Oklahoma, Texas, Nebraska, New Mexico, Tennessee, Alabama, etc. Our international friends from Canada and Holland show up as well. 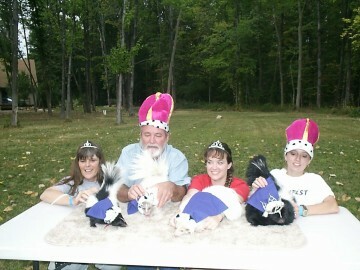 The Skunk Royal Court Contest judges each skunk on a range of traits and overall health and crowns the King, Queen, Prince, and Princess. Their Court is also made up of Knights, Ladies-in-Waiting, Squires and Dutchesses, Jesters, and Wizards. 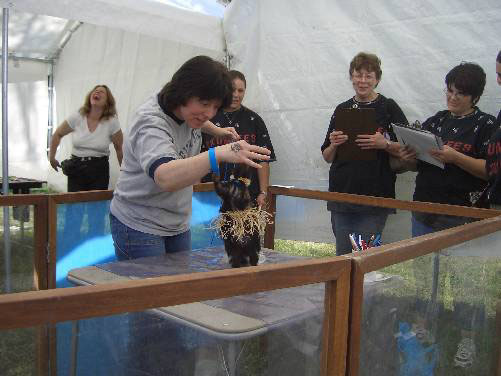 Our Main Judges are vets, skunk breeders, and experienced skunk owners. Skunks also enter the fun competitions such as Skunk Run, Best Skunk Costume, Best Tail, Best Detective, and Most Talented Skunk. Vendors come from miles around to sell their items. 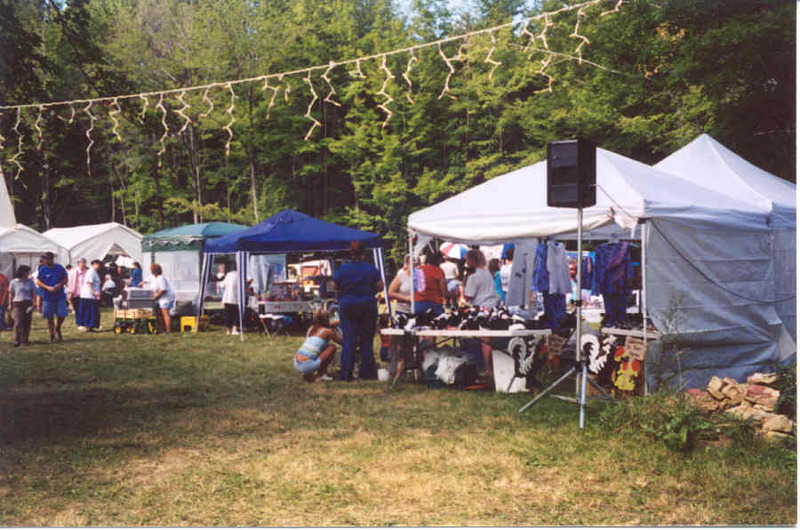 Items for sale include skunk items, herbs, soaps, blankets, Native American items, hand made items, pet supplies, T-shirts, etc. Please contact our Vendor Coordinator for a Vendors Agreement listed on in our current Skunkfest Flyer. 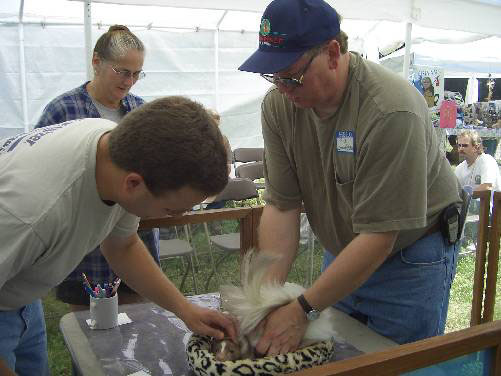 Educational displays are set up for people to learn about skunks. A vet, one of the judges, has a booth set up for education and medical advice. Come join us for the FUN! Rain or Shine! The information contained in this website is for general information purposes only. The information is provided by Skunk Haven™ and while we endeavor to keep the information up to date and correct, we make no representations or warranties of any kind, express or implied, about the completeness, accuracy, reliability, suitability or availability with respect to the website or the information, products, services, or related graphics contained on the website for any purpose. Any reliance you place on such information is therefore strictly at your own risk. Our members may freely submit articles and opinions on Skunk matters as everyone should have the right to voice one's opinion publicly without fear of censorship or punishment. The views and opinions expressed in these article are those of the authors and do not necessarily reflect the official policy or position of Skunk Haven™. We reserve the right to edit submitted articles for content to protect both Skunk Haven ™ and the author. In no event will we be liable for any loss or damage including without limitation, indirect or consequential loss or damage, or any loss or damage whatsoever arising from loss of data or profits arising out of, or in connection with, the use of this website. Through this website you are able to link to other websites which are not under the control of Skunk Haven™. We have no control over the nature, content and availability of those sites. The inclusion of any links does not necessarily imply a recommendation or endorse the views expressed within them. Every effort is made to keep the website up and running smoothly. However, Skunk Haven™ takes no responsibility for, and will not be liable for, the website being temporarily unavailable due to technical issues beyond our control. 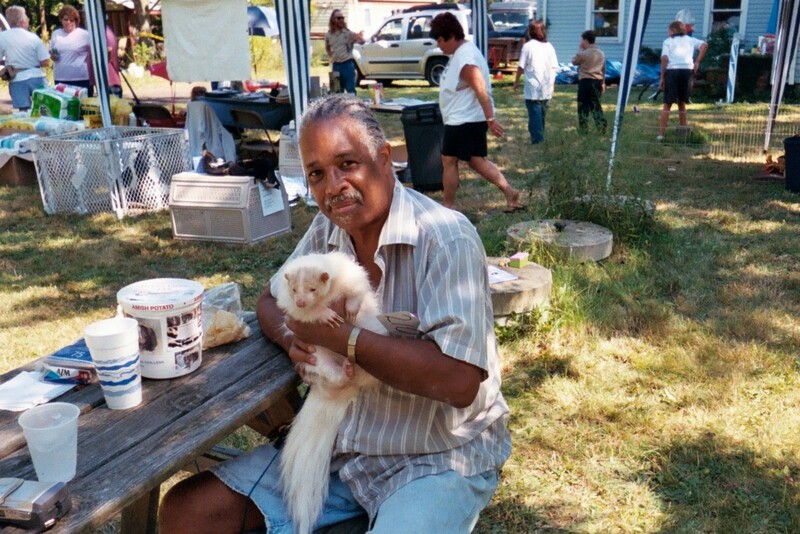 © 2001-2020 Skunk Haven™ Skunk Rescue, Shelter, and Education, Inc.